Killer Characters: Don't Call ME a Damsel in Distress! Don't Call ME a Damsel in Distress! "A metallic whizzing followed by the scrape of rubber on a hard surface commandeered my attention, and I spun toward the sounds. “Damsel in distress?” said a familiar baritone. Double pooh. Why couldn’t this have been Tag’s day off? “We took care of it, Officers,” Zak said from behind me. He knew how I felt about Tag’s tendency to jump right on any dispatch to the Market and wheel his trusty Seattle Police Department bicycle into my neighborhood. I recognized the irony—Zak’s protectiveness mirrored Tag’s. Not that there was anything romantic between me and my employee. He’s just that kind of guy. So, alas, is Tag, and he hadn’t quite given up on romance between us. Despite his affair with a meter reader. (I couldn’t bring myself to say “parking enforcement officer.”) Despite our divorce. “Your shop’s never out of my way, Pepper.” Tag balanced his bike, one long, lean leg stretched to the pavement, the other foot on the pedal, ready to take off at a moment’s notice. Behind him, his partner, Jay Olerud, wove figure eights, eyes scanning the crowd. How they manage to stay upright on the cobbles and curbs, swerve in and out of traffic, and speed up hills and down wearing guns, radios, and other gear, all the while sniffing out trouble, I can never understand. There’s a lot I don’t understand about Tag. Including why he still seems so keen on me. I ran a hand through my spikey dark hair. When my job as a law firm HR manager fell victim to the senior partners’ shenanigans, leaving me unemployed only a year after my divorce, I cut my ties to the corporate world and cut my hair. My morning routine now means sticking my head in the bathroom sink, toweling it dry with a washcloth, and rubbing a handful of goo over the remains. Bed Head R Us. And for some reason, Bike Boy thinks it’s hot. He grinned. I reddened. Why does the man always look like he knows what I’m thinking?" 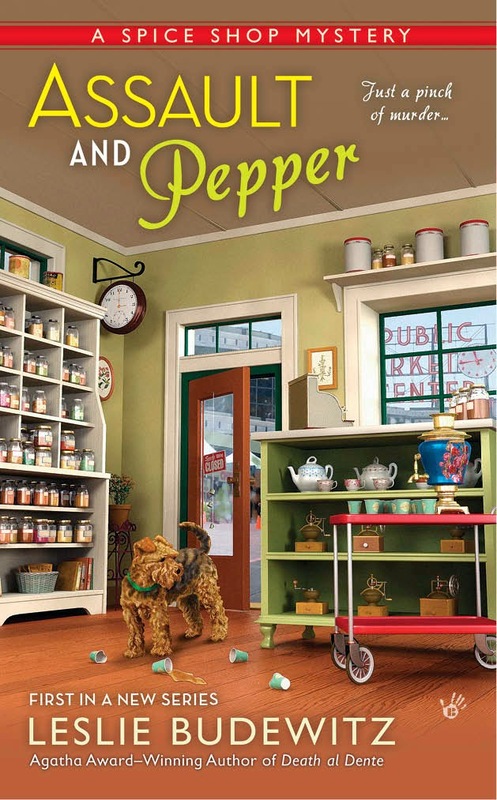 Leslie Budewitz is the national best-selling author of the Seattle Spice Shop Mysteries and the Food Lovers Village Mysteries, set in northwest Montana. 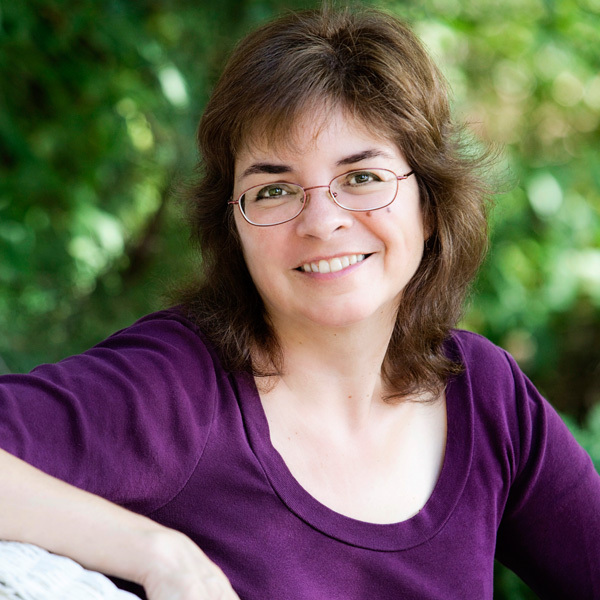 She is the only author to win Agatha Awards for both fiction—the 2013 Agatha Award for Best First Novel, for DEATH AL DENTE—and nonfiction—the 2011 Agatha Award for Best Nonfiction for BOOKS, CROOKS & COUNSELORS: HOW TO WRITE ACCURATELY ABOUT CRIMINAL LAW & COURTROOM PROCEDURE. For more tales of life in the wilds of northwest Montana, and bonus recipes, visit her website and subscribe to her newsletter. Or join her Facebook or Twitter. I'm looking forward to hearing more about Pepper and Tag, and all the others. Thanks, Elaine! Watch for GUILTY AS CINNAMON in December!